ONE of the world’sleading mobile-money markets is farther afield than many might venture – but Kenya, on Africa’s east coast, is fertile ground for Singapore firms tapping the digital economy. And other countries on the continent are no slouch, either. Government agency Enterprise Singapore (ESG) helped 10 home-grown digital companies in their move to Africa in the past year, according to figures provided to The Business Times – a sizeable chunk of the 60-odd Singapore businesses it has supported there. Capital & Credit Risk Manager (CCRManager) is one firm that gained exposure by tapping global trade flows. The trade finance fintech, which was set up last year, offers a platform for financial institutions to access the secondary debt market. It entered Africa in April, with South Africa, Nigeria, Kenya and Egypt as core markets, and plans to expand into Ghana and North African oil producers in the next two years. “The interest to grow the African market is definitely there. The banking capacity, the banking credit capacity for Africa, I would say is short in supply,” chairman Tan Kah Chye said. The platform has seen transaction volume of more than US$1 billion since going live, and he said that it “would be a fairly realistic aspiration” to have Africa make up as much as one-fifth of revenue by 2022. Other fintech firms dipping their toes into the sea of African trade include Global eTrade Services (GeTS), a subsidiary of state-owned government e-solutions firm Crimson Logic, and startup Trade Finance Market, which is backed by trade and supply chain investor GTR Ventures. Meanwhile, Trade Finance Market, which is in South Africa, Ghana, Kenya, Egypt and Nigeria, extends credit to small and medium-sized enterprises (SMEs) at interest of 9 per cent to 12 per cent a year – “which is a significant saving for the SME” compared with local rates, said executive director Raj Uttamchandani. Far from being a rival to Singapore, the well-documented surge of Chinese investment in Africa could be an opportunity for firms to play middleman, said Kelvin Tan, chief investment officer of GTR Ventures. Such is the plan for four-year-old Red Dot. Supported by Enterprise Singapore, it inked a memorandum of understanding in June with a subsidiary of Kenya’s Equity Bank to explore bringing more e-payment methods to East Africa, such as Chinese options. Red Dot handled S$400 million in payments in 2017, which he aims to double this year. The bulk of volume is still from Singapore but he hopes to process several hundred million dollars from East Africa over the next three years “because anything less than S$100 million is seriously not cost-efficient”. Other businesses are capitalising on consumer remittance, which is already a mainstay of services such as Kenya’s flagship M-Pesa mobile wallet. Singapore-based fintech TransferTo, which set up shop 11 years ago to facilitate digital value transactions such as topping up phone credits, signed a deal this year, again with the support of Enterprise Singapore, to help Kenyans move money between PayPal and M-Pesa accounts. 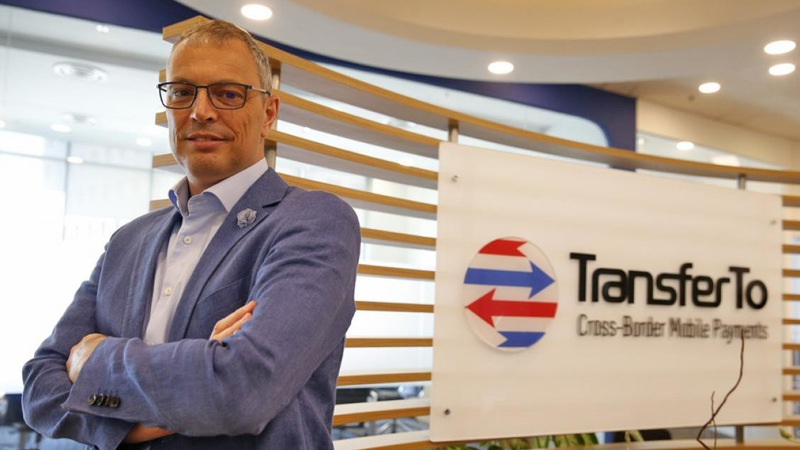 CEO Peter De Caluwe envisions TransferTo as a global intermediary for mobile payments and this business segment chalks up 70 percent of transactions in Africa. TransferTo has forecast earnings before interest, taxes, depreciation and amortisation (Ebitda) of US$5 million for the year. Besides fintechs, other digital Singapore firms that have crossed the Indian Ocean include GeTS parent CrimsonLogic, which opened an office in the Rwandan capital Kigali in June. Logistics startup Ascent Solutions offers electronic cargo tracking and fleet management system in South Africa, Kenya and Tanzania, while vCargo Cloud, a subsidiary of Catalist-listed DeClout, is working on e-trade projects in Djibouti and Mauritius, among other countries. Mobile security firm V-Key Solutions is looking at opportunities in Kenya, South Africa and Nigeria, while e-commerce platform company Arcadier is eyeing the cocoa market in Nigeria’s Cross River state. Mr Lee noted that Singapore companies should consider the characteristics of each market. SBF members are keen on “places where there is a big population, like Nigeria”, he said, as well as “places where there are a lot of resources . . . and places with good governance and infrastructure”. McKinsey has predicted that the Internet will contribute US$300 billion to gross domestic product across Africa by 2025 and create the same amount in productivity gains in key sectors. Source: The Business Times © Singapore Press Holdings Limited. Reproduced with permission via Enterprise Singapore. This article was also featured in sgsme.sg.